#pdxbeergeeks: Supportland + #pdxbeergeeks + PDX U Brew = Awesome! Supportland + #pdxbeergeeks + PDX U Brew = Awesome! 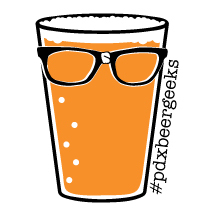 Come brew with the #pdxbeergeeks! In celebration of Learn to Homebrew Day, we will have a brewing demonstration/participation for a collaborative brew created by the homebrewers of the #pdxbeergeeks crew. This special brew will be named by Katrina of Supportland, and we'll come back to enjoy it in December when it goes ON TAP at the PDX U Brew Pub! Raffle prizes, holiday shopping ideas, beer related gifts, extra Supportland points, and hands on info and expertise from the staff at PDX U Brew. Are you brew-curious? Come see what it's all about! There will be tons of homebrewing supplies, books & beer geeks to talk to about getting started! Come visit with local artisans and see beautiful gifts from Mindy's Beer Gear, Bread & Badger Etched Pint Glasses, Oregon Tr'Ale gear, and more! Awesome gift ideas for the brewer in your life (or for your own wish list). Prizes and raffles galore, including a Brooklyn Brew Shop homebrew kit, and a copy of Stone Brewing's new book! Party starts at noon and goes to 8pm, so drop in whenever you can! We'll start brewing at 1 pm! As always, the Pub will be open for food and drinks, with PDX U Brew's own beers on tap! Questions about what's happening on November 5th? Contact emily@pdxbeergeeks.com or visit our Facebook page! 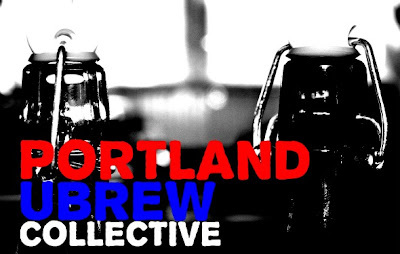 The second great bit of news to tell you all about is the PDX U Brew Collective - this is a fantastic opportunity for existing homebrewers and aspiring alike - from Aaron at PDX U Brew: "Our next Brewer's Collective will feature Vasilios Gletsos who is currently the Brewmaster of Laurelwood Brewing Co. He's a seasoned vet, and one of Portland's clutch brewers who has graced almost any brewhouse you could name. He graciously offered to help us brew, and speak with us about making spiced/fruit beers for the holiday season. 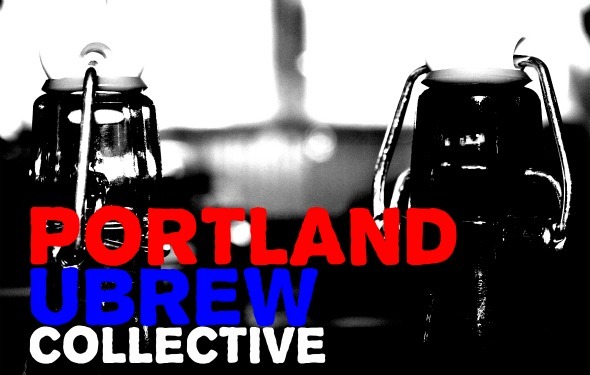 Here is some more info: Something we’re starting here at Portland U-Brew is a “Brewers Collective”. We’re hoping for a different vibe than the traditional homebrew club. Judging others, and their beer will not be our main objective. We’re looking to build a community of like minded brewers passionate about their craft, that are willing to help others learn, and learn from others. We want professional brewers, homebrewers, and those interested in brewing to be able to get together, and learn from one another while doing what we love to do: BREW BEER! The idea is to get together once a month, and brew a beer together here at P.U.B. with our collective knowledge. The beer will then be tapped at the next months meeting. It’s free to attend, and its definitely lots of fun." Please e-mail Aaron Gillham at pdxubrew@gmail.com with any questions you have. Cheers!